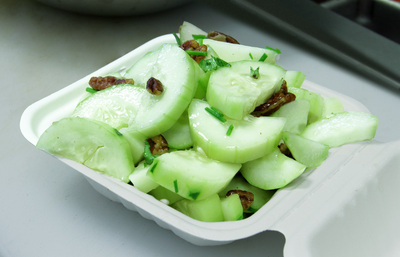 A delicious blend of fresh cucumbers, caramelized pecans, fennel, chives and basil, married with a sweet citrus dressing reduction. 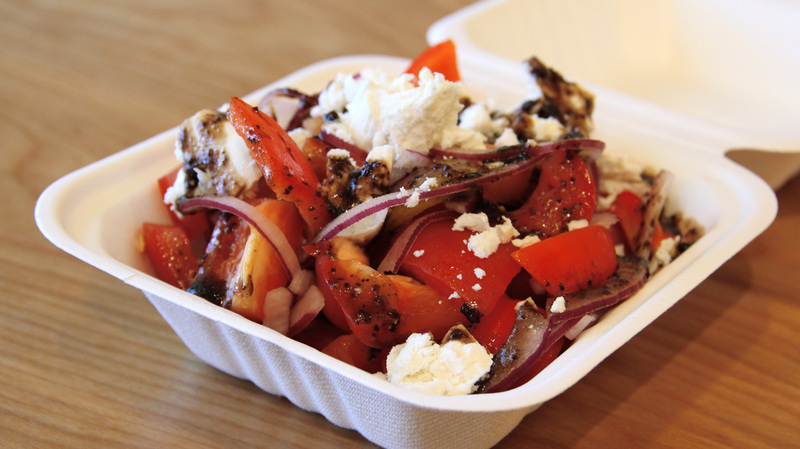 Tomatoes, peppers, Bermuda onion and Feta cheese with an Italian herb Balsamic dressing. 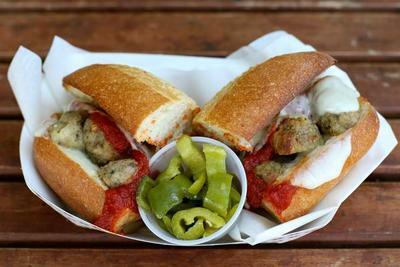 House made meatballs, melted mozzarella, tomato sauce. Served with a side of house cured peppers. 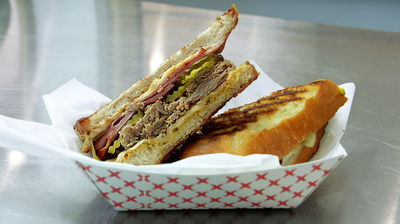 House pulled pork, ham, pickles, melted swiss with our own mustard blend. 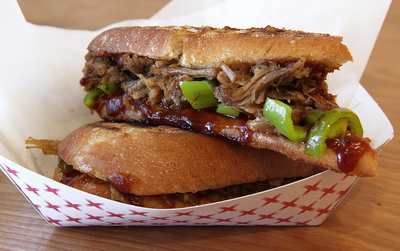 We cook our pork to perfection and compliment this beautiful sandwich with our mango/ancho chile BBQ sauce and house cured peppers.